In the 2nd edition of WSI’s Digital Minds, we provide a map (literally!) that’s designed to help professionals navigate through the complexities of the digital marketing realm. 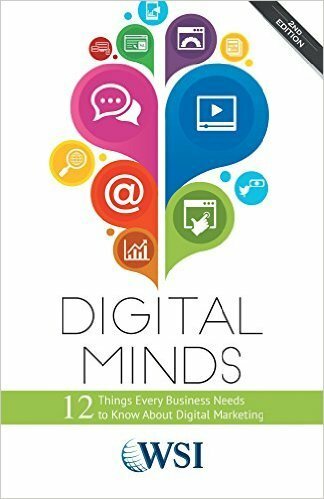 We include the 12 things every business needs to know about digital marketing. Strategies like web design, marketing automation, eCommerce, SEO, reputation management, email marketing and more are explored by our experts. By evolving alongside the growing trends, your brand will be equipped to leave the competition far behind. The progression of the Internet hasn’t slowed down one bit; in fact, it’s only just begun. And with capabilities like visitor tracking, geo-targeting and personalized marketing, the business competition on the digital playing field has become more aggressive than ever. The advancements are rapid; adaptation is vital. And yet, business owners are either too tentative to dive in or want to get started but just don’t know where to begin.